Yesterday we saw two acts of historical folly. Donald Trump signed an executive order to nullify Obama’s climate change policies. Theresa May signed a letter to the EU triggering Article 50 and the start of the Brexit process. May and Trump share a vision of the future which seems totally focused on further enriching the tiny class of billionaires, even at the cost of trashing the environment and pushing millions of people into poverty. Globally the fight-back is gathering pace. Those wanting a more socially just and ecologically sustainable future have an epic battle on their hands. In the States Bernie Sanders is travelling the country encouraging people, particularly young people, to get stuck into politics and to stand for office at every level. Globally millions of tiny battles must be won in order to create the change we want to see. Those millions of victories need to happen quickly. Last Thursday, 23rd March, two tiny but important steps forward were made. The Green Party of England and Wales won two resounding victories. Here in Herefordshire Trish Marsh won the Leominster South seat on Herefordshire Council. In a five horse race she got 41% of the vote, more than double the second placed candidate. 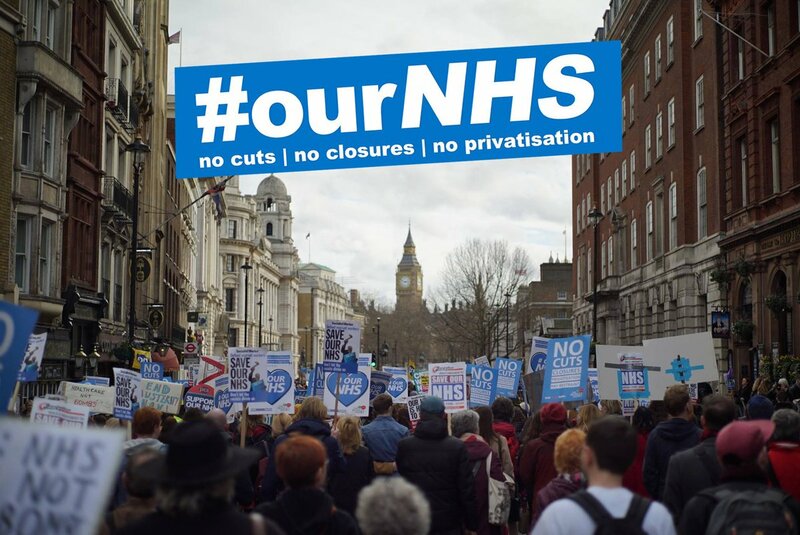 I helped deliver leaflets and was impressed with what a big team we now are, and how much better organised and motivated we are now than in the past. On the same day in Knowsley, Merseyside, Kai Taylor won a resounding victory, getting 75% of the votes to Labour’s 25%. On 4th May there will be local elections across the UK, for local councils, new mayoral positions and also the Gorton, Manchester, by-election. These are perhaps the most important and unpredictable elections I can recall. Both the LibDems and Greens could do well as a result of the emerging shambles of Brexit. At the last general election Gerald Kaufman had a 24,000 vote majority in Gorton. Once that might have been considered a safe seat, but now it could go any number of ways, with both the Lib Dems and Greens hopeful of victory. Of course I’m hoping Jess Mayo wins it for the Greens. Globally the Trump/May agenda of ecological destruction and social injustice has the funding of billionaires. To oppose them the rest of us will need to pitch-in politically, get organised, put in time and effort, chip-in financially and learn to cooperate locally and globally in various progressive alliances. It will require the efforts of many millions of people. No small undertaking: but it is happening. Please help in this epic and existential struggle in whatever way you can. This entry was posted in Politics on 29 March 2017 by Richard. 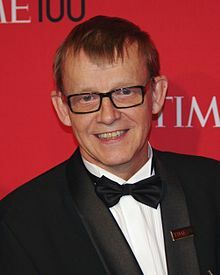 Hans Rosling the Swedish statistician, who died in February. A powerful advocate for a better, more caring future. What’s going on in the World? It seems to me that old definitions of left and right are rapidly becoming obsolete, or at least are morphing into new forms. Humanity faces the existential threat of climate change. People are starving to death in Somalia. Globally millions are fleeing poverty or simply seeking a better life in a different country. The world is urbanizing at breakneck speed. There seem to me to be three broad camps emerging. The mainstream is under attack, and in many places the political parties that embody this philosophy are seeing support collapse. Tony Blair, John Major and Hilary Clinton are politicians who represent this old centre ground, close to the interests of bankers, relaxed about growing inequality and only prepared to take action on climate change as long as it didn’t seriously disrupt existing business models. This centrist position is under attack from two very different perspectives. On the one hand we have the Trump-Putin-Farage camp of xenophobic, right-wing populists, who deny climate science in order to keep the fossil fuel driven economy going and to protect the economic interests of a tiny clique of billionaires. These demagogues, like all demagogues, ‘protect the rich by getting the poor to blame the weak.’ (A succinct definition from Alain de Botton) Hence the travel bans, incitement to racism, attacks on the institutions of democracy from the courts to the media, the web of lies in order to undermine calm rational debate. The revival of fascism is something I never thought I’d see in my lifetime, yet fascist ideologues from the 1920’s such as Julius Evola are now back in fashion! On the other hand there is an emerging green worldview. Clean air and unpolluted water and a healthy biosphere are seen as fundamental human rights. Climate change is understood to represent a challenge of paramount urgency. From this perspective leaving the vast majority of the world’s known fossil fuels in the ground is seen as necessary. A very rapid ramping up of renewable energy and energy efficiency measures represents a huge economic opportunity. Social inclusion and economic equality are seen as fundamental objectives. Taxing all forms of pollution, closing tax loopholes, increases in top rates of taxation are all seen as necessary in order to fund excellent health and education for all. Multiculturalism is to be embraced as is gender equality. I’ve recently blogged about Jesse Klaver in Holland and Isabella Lovin in Sweden who both personify this emergent Green politics and in a UK context I’d cite Caroline Lucas and Molly Scott Cato. In a traditional left – right dichotomy environmental protection, investments in health and education and other aspects of ‘big Government’ were seen as being against the interests of business. However from the emergent Green perspective they can be seen as complementary. In a blog last month I cited a report from the World Economic Forum that judges Sweden to be both the best country on Earth in which to do business and the one with the best systems of health, education and environmental protection. Essentially it is a well functioning modern state. By contrast the UK and USA are becoming less economically competitive partly because they don’t have such healthy and educated populations and are riven with social problems stemming from inequality. The fact that Sweden is committed to phasing out the use of fossil fuels by 2045 is a moral imperative to tackle climate change: it is also a business opportunity. Many examples could be cited, but an interesting one is the steel industry, which currently emits vast quantities of Co2. Sweden is the first country in the world planning to switch from coal to renewably generated hydrogen to run its blast furnaces, so creating new economic opportunities while reducing emissions. In international development we see the contrast perhaps most strongly. The new despots collude with global corporations to maximise short term profit and exploit poor countries, with Liam Fox’s Empire 2.0 and Donald Trump’s America First policies as typical. Meanwhile the emergent Green worldview is highly internationalist. Multilateral cooperation is fundamental. As the wonderful Swedish statistician and epidemiologist Hans Rosling argued, it makes sense in every way to achieve the UN Sustainable Development Goals as rapidly as possible. 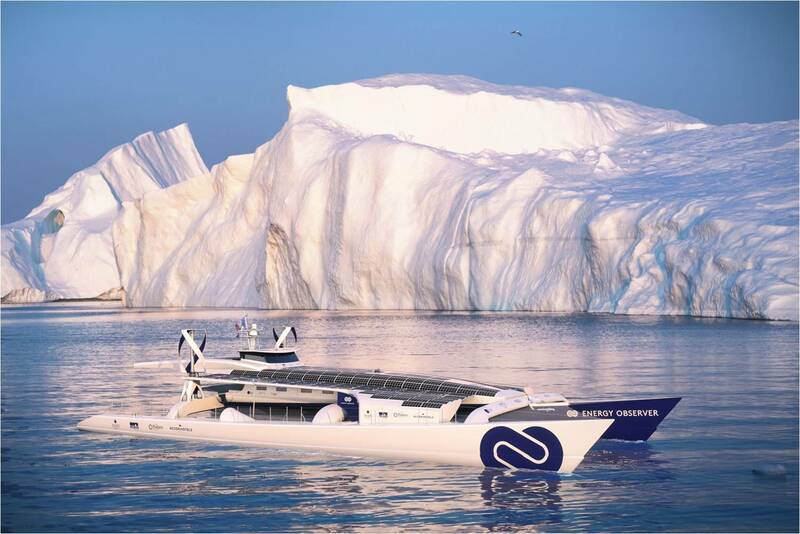 All 7, 8 or 9 billion of us humans could have Swedish levels of prosperity if we shared resources better, cooperated to reduce conflict, pollution and inequality and jointly developed the cleantech of the future. As I keep arguing in these blogs, technologically and philosophically, providing high quality, universally inclusive, food, shelter, electricity, education and health services is achievable: politically it will be extremely challenging. What is needed is for millions of people to pitch-in and join the political movement that is trying to establish the politics of hope not hate. Green parties around the world are at the heart of this process. So too is building alliances with mainstream parties who are more slowly beginning to see the opportunities that a radically different, more ecologically sustainable, socially just and globally connected world might entail. This entry was posted in Environmental, Global, Politics on 23 March 2017 by Richard. The ‘first past the post’ voting system has had its day. It is unfair. Back in the day when Britain was essentially a two party system it was very much less unfair than it is now, with at least seven parties. The current Tory government has a clear parliamentary majority yet only got 37% of the vote. There is currently a petition to bring in a system of Proportional Representation, which right now has 102,440 signatures and so has passed the magical 100,000 needed to be considered for a parliamentary debate. Do please sign it. The more signatures the greater the moral pressure for change. Make Votes Matter have issued a press release which puts the case very clearly, and shows that there is at least some support from all the parties, even a few Tories. There is much wrong with British and American politics. George Monbiot shows how both systems have been corrupted by the undue influence of money, and the lobbyists of the most polluting industries. Even the weak laws about election expenses that Britain does have are being flouted as Michael Crick shows, with twelve police forces currently investigating the overspending of 20 MP’s. Getting Proportional Representation is an absolutely necessary first step in the process to making Britain a more democratic country. Tightening up rules on party funding is a necessary second step. This week the Dutch had their election to choose the 150 members of their House of Representatives, of course under a proportional system. Twenty-eight parties put up candidates, with thirteen getting enough votes to get MP’s elected. As only about 1.6 % of the vote is needed to get a single MP elected this encourages lots of small parties, which then have to form coalitions. This to my mind is no bad thing. The UK and global media focused on Geert Wilders Freedom Party and their racist agenda. They did increase their number of MP’s from 15 to 20. However three other parties increased their representation by more. The Christian Democrats and the D66 Progressive Liberals gained six and seven MP’s respectively yet were hardly mentioned in the UK media. 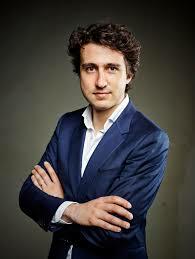 The biggest gains, from four to fourteen MP’s, were made by the Green Left led by the charismatic Jesse Klaver. Their pro refugee, pro-EU, socially progressive and ecologically pioneering agenda proved popular, especially with the young in cities like Amsterdam where they became the biggest party. Right wing racist popularism remains a potent force in Britain, Holland and in many countries. It may be better to have these horrible views expressed within parliaments by people like Geert Wilders in Holland than outside by people like Nigel Farage in the UK. The Dutch system allows new ideas and new parties to enter the parliamentary mainstream, for good and for ill. The British system remains dominated by parties that have their roots in Nineteenth Century ideas and traditions. We desperately need a system that better reflects society as it is now and is better equipped to discuss and deal with the real challenges that lie ahead. Let us bring in Proportional Representation now. It is not a universal panacea, but it is a necessary first step toward a more democratic way of governing this country. This entry was posted in Politics on 18 March 2017 by Richard. What a strange point we are at in British politics. UKIP are at war with themselves as Aaron Banks threatens to stand against their only MP, Douglas Carswell. Nigel Farage seems to have thrown his toys out of the pram because he didn’t get an honour. Most of the Tory party are leading the country into the UKIP inspired chaos that is Brexit. The most effective opposition has been from John Major and Kenneth Clarke who both have made impressive and sensible speeches, showing just how far the rest of the Tory party has drifted into UKIP territory. Labour whipped MPs and Lords into supporting the crazy government policy of a rapid and hard Brexit. As we blunder into Brexit a second Scottish independence referendum is almost inevitable and it is equally inevitable that Nicola Sturgeon will win a huge mandate. Senator George Mitchell has pointed out that Northern Ireland’s Good Friday Agreement was based upon both the UK and Ireland being members of the EU. Brexit may destabilize Northern Ireland economically and politically. Northern Ireland, like Scotland, voted to stay in the EU. They, like Scotland, may seek a political settlement that maintains that membership even if it means leaving the UK. After Scotland and Northern Ireland leave the UK Wales would almost certainly follow. To speak of the United Kingdom already feels like a historical anachronism, like speaking of the British Empire. Little England, outside the EU and bereft of its former partners in the UK would seem a very isolated and vulnerable place. That will have been the unintended consequence of UKIP and their Tory acolytes. The Tories, Labour and UKIP all seem crippled by internal disputes. 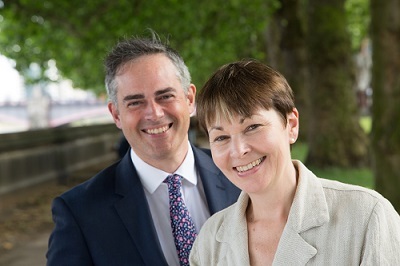 Meanwhile the Green Party is strongly united behind its co-leaders, Caroline Lucas and Jonathan Bartley, and making slow but steady gains in a scattering of local authority by-elections in the Forest of Dean, Knowsley and in Weymouth over recent months. Then yesterday Exeter city councillor Chris Musgrave left the Labour party and joined the Greens. I’ve been a Green (and before that Ecology Party) voter since the 1970’s. Several times I’ve thought we were on the verge of a breakthrough, but strangely now, out of the chaos that is Brexit, it feels more likely than ever. Following the death of Labour MP Sir Gerald Kaufman there is to be a by-election in Manchester Gorton. In the 2015 general election Labour had a huge majority, with the Greens coming second out of a field of seven candidates. 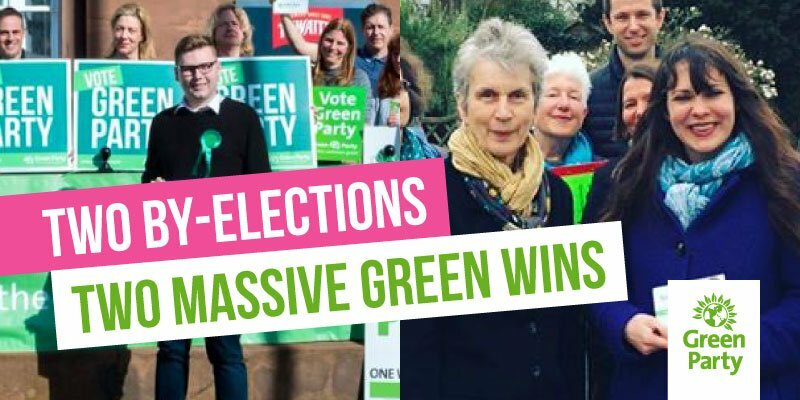 In the Richmond Park by-election the Greens stood down to help Sarah Olney achieve a LibDem victory: perhaps this time the Lib Dems will stand down and pitch-in to help the Greens? Will More United play a role? UK politics seems very much more fluid and unpredictable than at any time in my life… and I was born before the Suez Crisis! Outside in the real world beyond our shores big decisions need to be made. Climate change and a related host of macro ecological threats endanger our continued existence as a species. Fascistic demagogues are in power in USA, Russia, and the Philippines and are threatening to take over in several European countries. They care not a jot about the ecological state of the World and thrive on social division. It is more critical now than ever before that humanity cooperates to build a better, more ecologically sustainable, socially just and peaceful future. Perhaps most of the world’s people understand this. Now it is time that they, that we, united and worked together to overcome the forces that seek to divide us. This entry was posted in Politics on 1 March 2017 by Richard.